Bullying is a serious offense, children everyday are scared to go to school,hangout with friends and even post on social media because they're scared of others judging and picking on them. I think the fact that CartoonNetwork is doing this anti bullying campaign will show the children of this generation that not only actions but words hurt too. It's time we all take a stand against bullying and I personally feel that this campaign will be amazingly looked upon by so many people and hopefully it gets people motivated to speak up against bullying. I never knew that cartoon network would do these stuff for kids. I thought they only make fake funny cartoon videos. Well i'm not saying it's bad. IT is a really good thing that they did this. There is a lot of bullies these days and we got to stand up. But there is only a little bit of bullies in my school. And trust me someday some one will take care of them. I think it's good that Cartoon Network is doing this because people do need to speak up when you see other people getting bullied or if your getting bullied yourself. I was bullied back in middle school and it stinks, like it's not nice that people bully each other and I wouldn't wish for anyone to have to go though what I did. In ninth grade I finally had the courage to speak up and tell somebody and I'm glad I did. I think anyone who sees some one getting bullied should stand up and say something. It's the right thing to do. I think this is very important because bullying is a real problem in schools. If this keeps up, then serious consequences can occur like suicide. This is kind of like a chain reaction because if you are constantly getting bullied and suicide might occur. But, if you are not bullied, then suicide would not happen at all. So this is all a cause and effect kind of thing. Answer: It is effective to unite the voices of kids, parents, educators, celebrities, and government officials because kids are the ones getting bullied, parents are trying to help their kids, educators are trying to prevent bullying, kids look up to celebrities like One Direction, and government officials are the head of the Californian government so people should listen to them. I think this will be good for everybody that's been bullied. I have a special connection with this because when I was in elementary school & some of middle school I was getting bullied , so it's always good to have somebody that would have your back even of they don't know you . I think the "Stop Bullying and Speak Up" campaign would be a good idea. Bullying doesn't always happens in person. Their also cyberbullying and we need to end this. Victims of bullies suffer the psychological consequences all the way until middle age, with higher levels of depression, anxiety and even suicide! People that bully need to stop becasue they can get to mean and that person that they are bullying can get really sad and kill there own self. and that person's parents will be verey sad.and will call the cops on them and then the cop's will take them to jail. Bullying affects people other than kids because older people may get bullied because they have some type of disease. Other older people may just look different than a lot of other people. This needs to be stop because no one needs to be bulled or walked all over please join cartoon network to finally to the end of bulling. I have been bulled in fifth grade that was an huge part of my life like meeting the president but the opposite effect instead of happiness. Cartoon Network is challenging the public to tell the world "I speak up" in a chorus of 1 million videos. Participants are invited to say those three words into their mobile devices. Then share their videos at www.StopBullyingSpeakUp.com, as well as to their own social media platforms using the hash tag I Speak Up. Critical thinking challenge: Why is it more effective to unite the voices of kids, parents, educators, celebrities and government officials if its only kids that are victims? 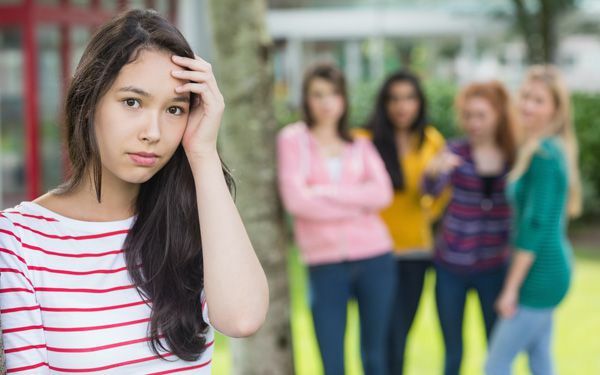 How does bullying affect people other than kids? The others mood will feel down that they can't help. In response to "Are You Ready to Speak Up Against Bullying? " I agree that people should speak up against bullying. One reason I agree is that many kids or teens have decided to commit suicide because of bullying. Another reason is that bullying is affecting almost all the schools. People can bully in the streets or in different places; lets say it's like a virus because it's spreading all over the world! It says in the article that when getting bully-savvy can serve them well into high school and beyond . A third reason is that everything this article says is absolute right and positive. Even though Cartoon Network is making a Speak Up campaign, I think people shouldn't just speak up they should also stand up for bullied kids/teens. Overall, nobody should be bullied because we're all equal and perfect in our own way.